LA Photo: Will He, Or Won't He? LA Mayor Antonio Villaraigosa will announce today at 1pm Pacific time on CNN's "The Situation Room," if he will run for Governor of California. 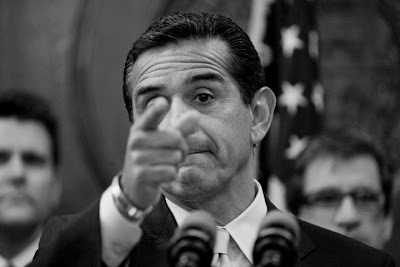 Citizens of Los Angeles have mixed reactions on Villaraigosa's quest for the Governorship, he would have to leave office as Mayor two years early if elected to Governor.